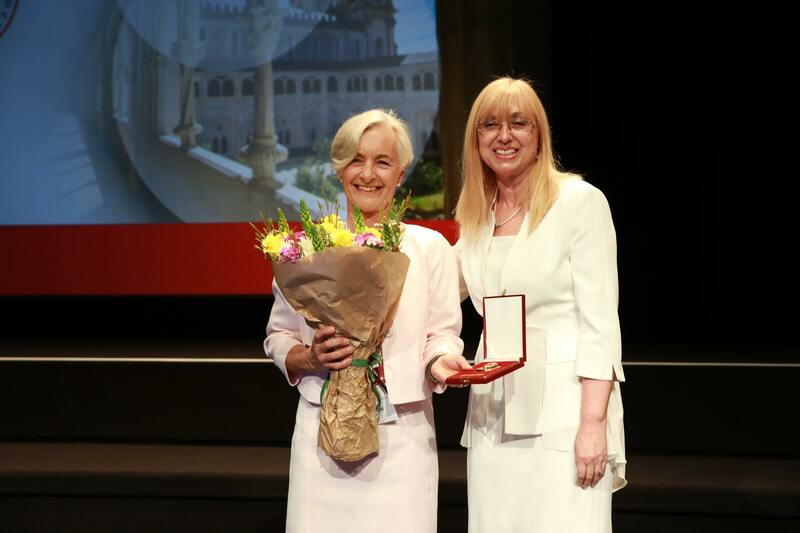 Lisbon welcomed about 2000 delegates from across all continents at the Opening of the 86th Annual Congress of the European Atherosclerosis Society (EAS). President of the EAS, Professor Lale Tokgözoğlu overviewed the past, present and ongoing activities of the Society. These include collaboration with the European Society of Cardiology in the production of guidelines, such as those for management of dyslipidaemia, as well as with international and national atherosclerosis societies. Integral to the success of the EAS has been the European Atherosclerosis Society Consensus Panel, co-authored by Professor John Chapman (EAS Past President 2010-2013), Professor Henry Ginsberg (Columbia University, New York, USA) and Professor Alberico L. Catapano (EAS Past President 2014-2017). 2018 also sees the launch of the Young Fellows of EAS, an educational initiative which aims to recruit exciting young atherosclerosis researchers (both bench and clinical), with the ultimate aim of developing the next generation of Key Opinion Leaders. Another of the key EAS initiatives is the Familial Hypercholesterolaemia Studies Collaboration (FHSC), a global network- to date involving 65 countries and growing - of healthcare providers, patient organizations, policy makers and the clinical community. As part of the Opening Ceremony, Young Investigator Awards were presented to José Javier Fuster Ortuño, Boston University School of Medicine, Boston, USA. Portuguese fado was a fitting musical introduction to an exciting Congress in Lisbon in 2018. 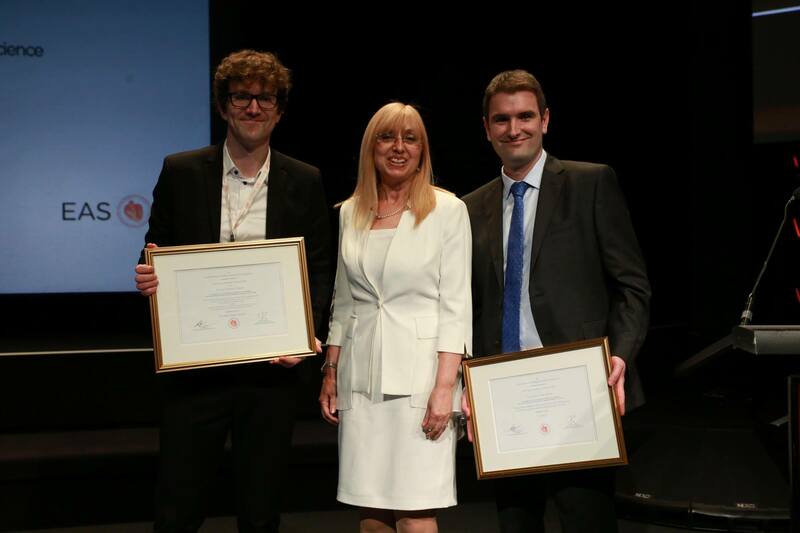 In another first for the EAS, Professor Anne Tybjaerg-Hansen (Copenhagen University Hospital, and the University of Copenhagen, Copenhagen, Denmark) is the first female recipient of the Anitschkow Award. According to EAS President Professor Tokgözoğlu: Professor Tybjaerg-Hansen is truly a pioneer in genetics, playing a key role in delineating the role of genetics in lipid metabolism, and importantly, cardiovascular risk. Her research has led to novel therapeutic approaches in the fields of cardiovascular disease, most recently in the development of agents targeting apolipoprotein CIII, which plays a key role in the regulation of triglycerides, a marker for triglyceride rich lipoproteins and their remnants. Well, in the beginning, genetic research has truly been the ugly duckling, with tedious, cumbersome methodologies limiting study. The advent of polymerase chain reaction technology changed this. Professor Tybjaerg-Hansen recognized the power of this, and in 1991-1994, was the driving force in efforts to link DNA from 9000 individuals in the Copenhagen City Heart Study to aid further research possibilities. These “Breaking news” sessions feature presentations on recent clinical trials, new developments in experimental science, and updates on other hot topics. Take a look at the latest updated programme on the web including the Communication sessions featuring oral presentations of selected abstracts submitted to the congress. Welcome to the Poster areas 17.00 on both Sunday May 06 and Monday May 07 for convivial poster viewing in our Wine & Science Sessions. On Monday May 07, starting at 17:00 in the Carolina Beatriz Àngelo - Auditorium 7, there will be a members-only General Assembly, to handle the Society's administrative & financial business. Enjoy the Congress in Lisbon!